What can I say about Carly and Martin’s Brinkburn Priory wedding? 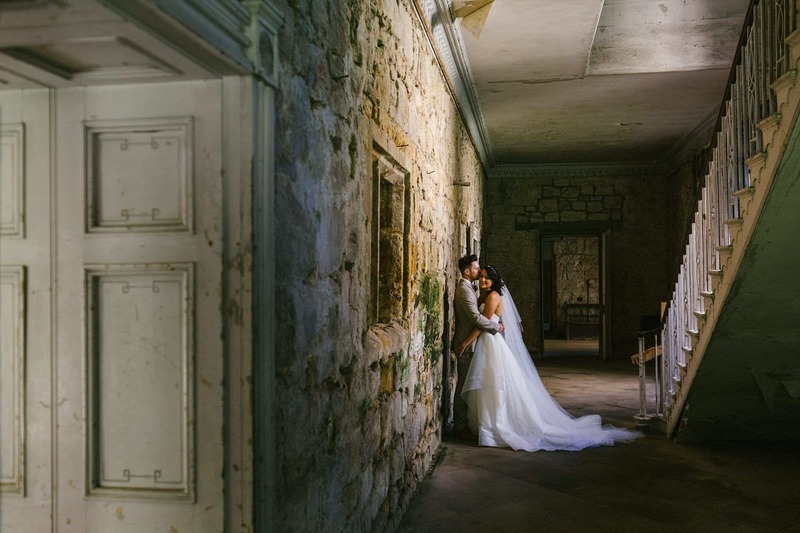 It had it all – a fantastic couple, a stunning venue, perfect weather and so much fun and emotion. We even had a sword fight. What more could you possibly want?! Had the wedding taken place a day or two early, we would not have had such amazing weather. Raging storms had cut off the power at Brinkburn the day before the wedding, which could have made things interesting for morning preparations. Thankfully power was restored in time for the ladies from Kinks Hair & Makeup to work their magic. Carly looked truly stunning, Martin was sure to be blown away. The ceremony took place in the White Room, which is a wonderfully bright space with white walls, floor and ceiling essentially creating a giant lightbox. There was barely a dry eye in the room as Carly and Martin took their vows. After the ceremony we made our way into the incredible priory itself for photographs, and it really is the perfect place for it – beautiful architecture and little pockets of light everywhere. The reception followed in the tipi, with some funny and heartfelt speeches. After the meal we managed to squeeze in another venture into the priory for more photos before the evening party started. The venue was bathed in the most beautiful golden evening sunshine, making the light in the priory even more magical. After cake cutting and fun in the photo booth in the White Room, it was time to get the party started back in the tipi – a fun end to a truly memorable day. If you’re having a Brinkburn Priory wedding or are looking for a North East wedding photographer to capture your special day, please get in touch to check your date.